Terre des hommes wanted to develop its digital fundraising. For this we developed the mytdh.ch peer-to-peer fundraising application. I came up with the concept, the requirements and the wireframes. 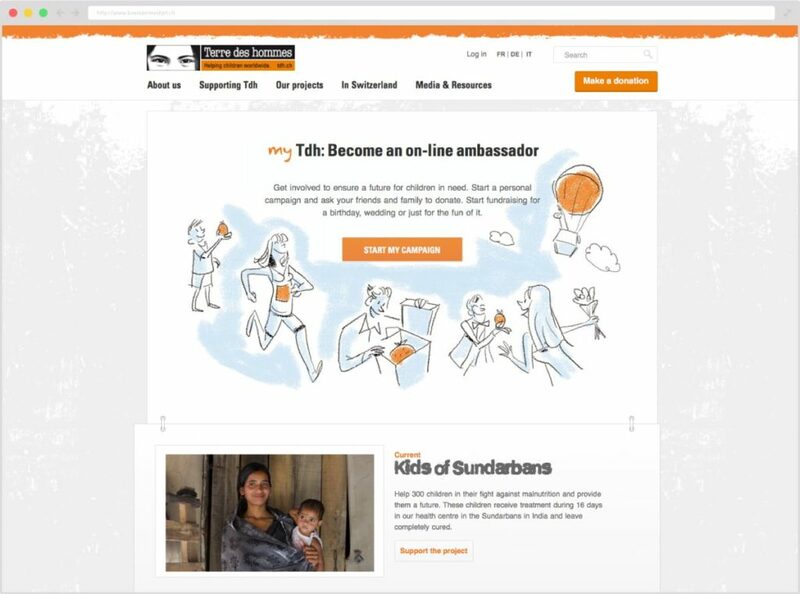 Then Terre des hommes’ web partner Wopata designed and developed. Jerome Viguet was hired to draw the illustrations for the website. I produced the video below. From the concept to the final product. I also edited a second german version.